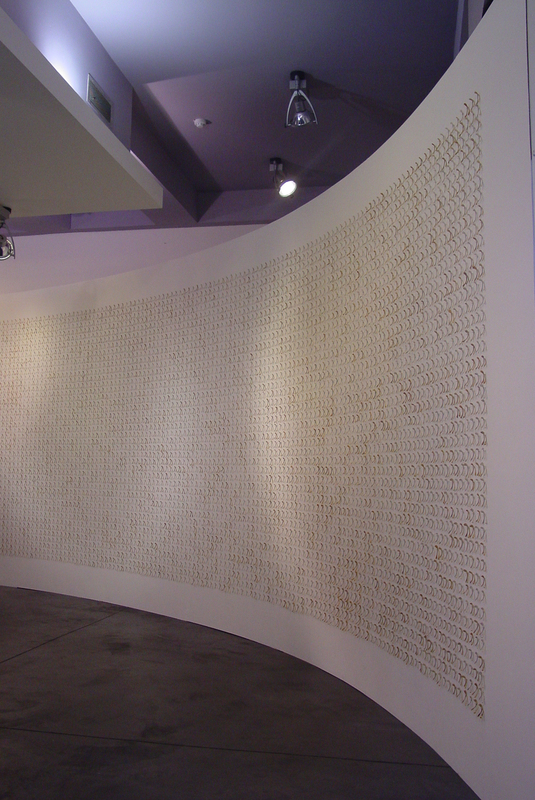 Installation of 10,000 Chicken wishbones on constructed curved wall, dimensions variable. Ledger. ‘AND’ (with Joe Hanly) Temple Bar Gallery & Studios, Dublin, Ireland 1996. ‘Wishing Wall’ Galway Arts Festival, Ireland. 1988. ‘Suture’ Kauno Galleria, Kaunas, Lithuania 1999. 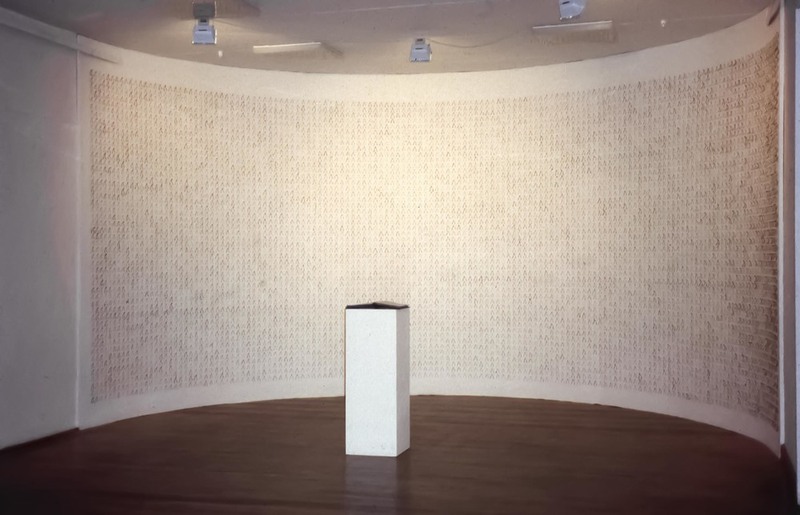 ‘Wish’ Higher Bridges Gallery, Enniskillen, Northern Ireland 2005. Wish is a non denominational contemplative work on the act of wishing. The10,000 wishbones were donated to the project by members of the public, some of the donated wishbones were accompanied by wishes that have been transcribed into a ledger which accompanies the installation. Visitors are invited to contribute to the wish ledger.